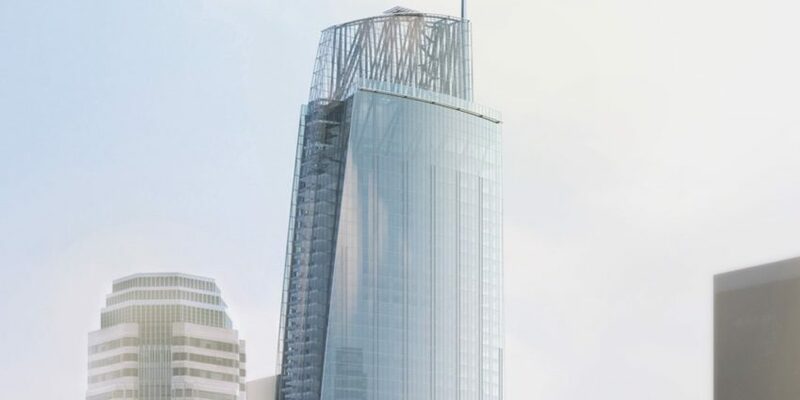 The Wilshire Grand Center is a high-end, mixed use, high rise located in the heart of downtown Los Angeles. 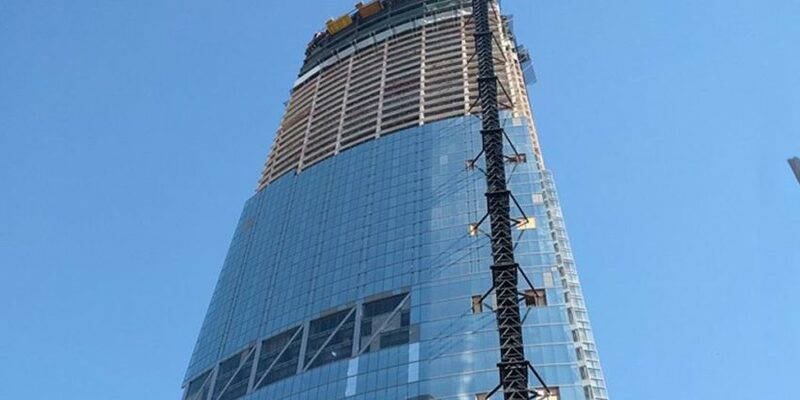 The 1,100 foot tall building became the tallest structure west of the Mississippi River when a steel spire measuring just under 295 feet was added to its roofline. 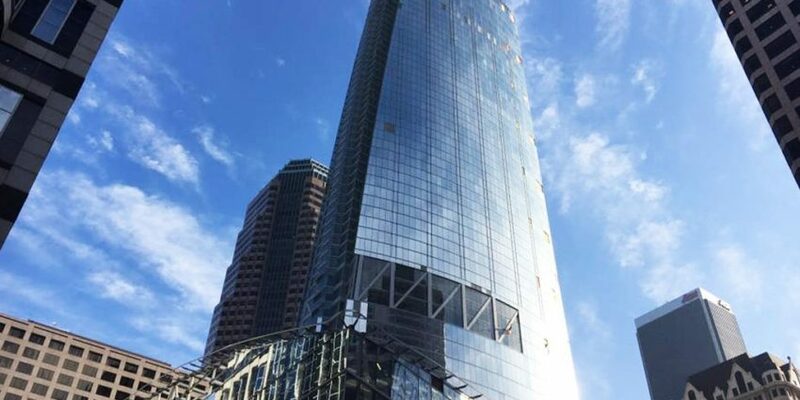 Construction of the Wilshire Grand Center, which broke ground in 2013 and opened early summer of 2017, marked a time of growth and awakening for the Downtown L.A. area. The structure provides roughly 500,000 square feet of parking, a 900-room hotel, extravagant retail, restaurant, and lounge spaces, and over 380,000 square feet of business space. 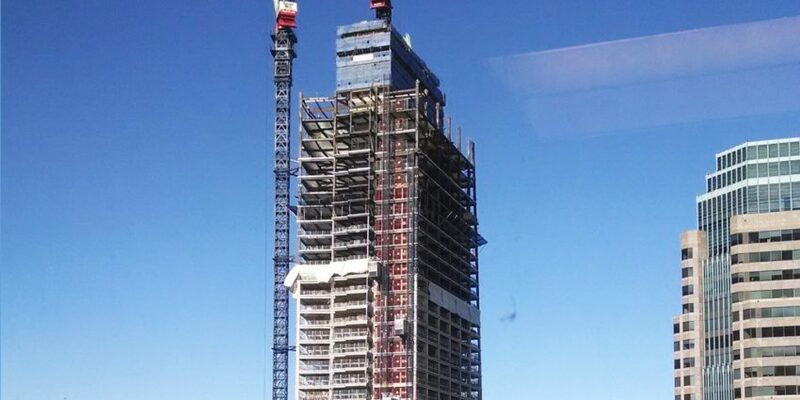 Raymond’s Southern California region was contracted by Turner Construction Company to complete the drywall, framing, and insulation on the 73-story development. Raymond completed work on floors 11 through 73 (as well as additional mechanical levels). Raymond’s man-hours reached 400,000 and at the peak of construction, manpower reached 230 employees. At one point Raymond had dozens of crews working throughout the structure, 24 hours a day and seven days a week. 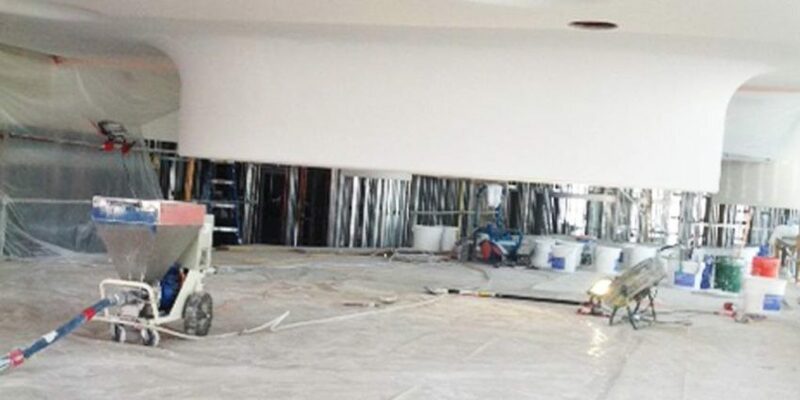 Raymond installed nearly four million square feet of drywall.